If nothing else, the LCD-based Christie LW41 proves that portability, like beauty, is in the eye of the beholder. Christie refers to it as a full-featured portable. But even though it weighs only 10.6 pounds, it's not all that easy to carry with you. At 4.6" x 15.8" x 12.5" (HWD), it's more than a little bulky, making it less suited for portable use than for permanent installation or moving from room to room on a cart. The other part of the description -- that it's full featured -- gets no argument. Along with it's 1280x800 resolution and its 4000 lumen rating, the LW41 offers a 1.7x zoom lens, both vertical and horizontal lens shift (although the amount of lens shift is minimal), and lots of connectors, including HDMI and a set of 5 BNCs (common on professional video equipment). 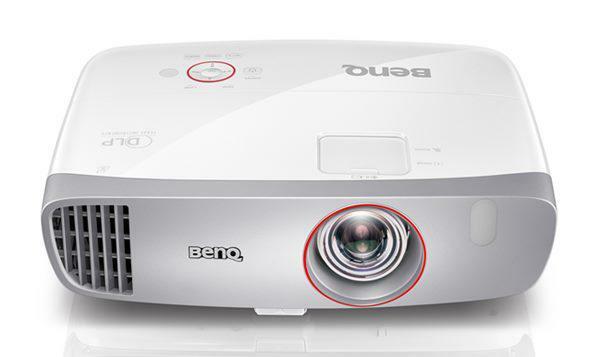 Another key strength is its excellent data image quality combined with better than average video quality for a data projector. As you might expect, all of these features translate to a high price, at $4,995 list, with government and education discounts available. What really matters, however, is that the LW41 offers a reasonable balance of image quality, brightness, features, and price, with the high price ultimately a matter of getting what you pay for, and having to pay for what you get.